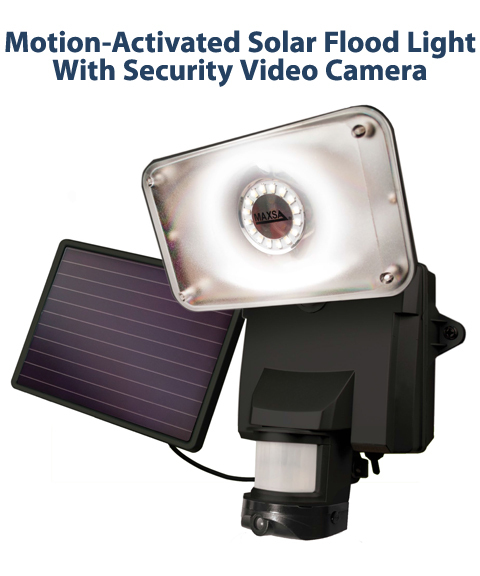 Our combination Motion Activated Solar Security Video Camera and Floodlight is ideal for residential, commercial, industrial, recreational and even remote areas. 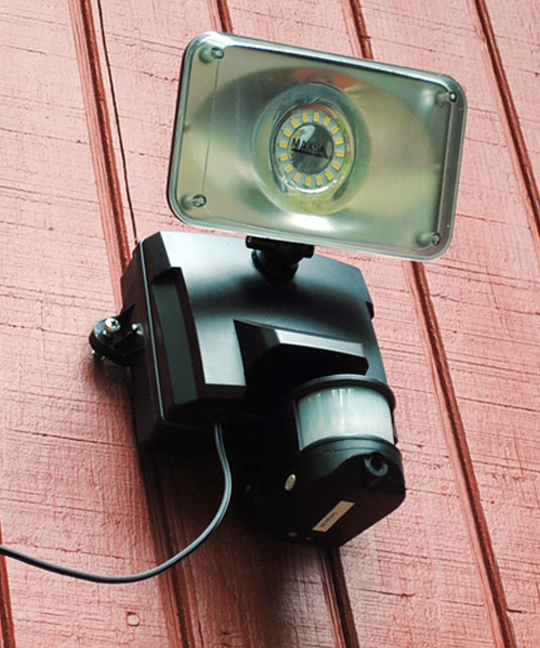 It combines a strong, wide-area 879 lumen flood light with a motion-activated day/night camera that stores four hours of video. It’s designed to easily enhance security in areas where electricity is costly or impractical to install. Both the camera and flood light are motion-activated; the camera works day and night while the flood light works only when it’s dark. At night, 16 super-bright Surface Mount LEDs emit 879 lumens of bright light when motion is detected. The base of the solar panel is adjustable, so it can be installed on both flat and angled locations. Settings on the floodlight include those for TIME (how long the light will stay lit when activated) and LUX (how much darkness is required for the light to turn on when activated). 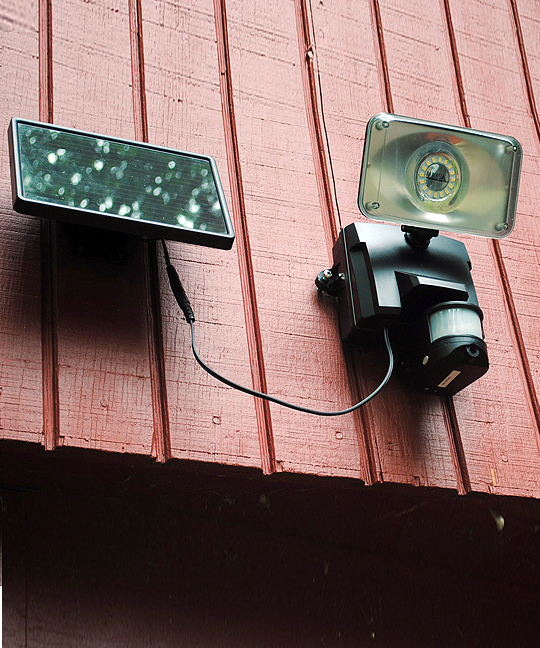 The camera is discretely built into floodlight so that it is not easily noticed by intruders. The full motion camera turns on when motion is detected both day and night and can store up to 4 hours (or 16 gigabytes at night/32 gigabytes by day) of time/date-stamped video. Viewing or storing video is easy: just remove the camera module from the base of the motion sensor and plug it into a USB drive on your computer. The camera is designed so that you can also remove the micro-SD card to access the videos. Video is stored in .avi format, which can be read by Windows and MAC devices; Android devices can play the videos using free conversion programs. After the maximum amount of video is recorded, the camera will re-record over existing video.